Go gold this Halloween with this hairspray! 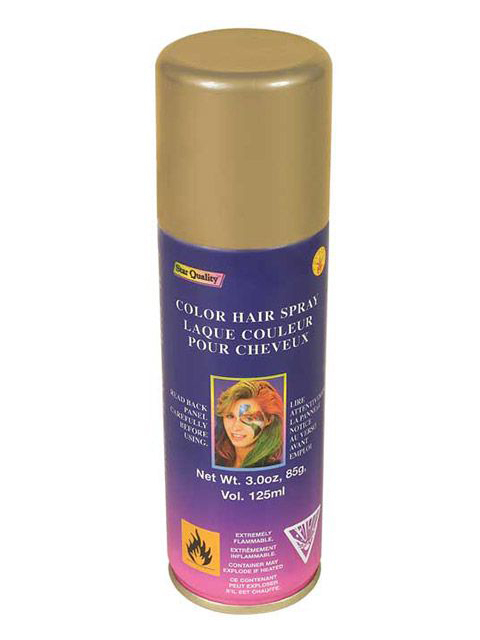 With the Gold Hairspray you'll not only be able stylize your hair, but completely change it into a golden vision of desire. Perfect for a lioness costume or a dazzling golden dancer costume.